The story that led to my idea is not very exciting, if anything it’s a little depressing! I was a stay at home mum in a new neighbourhood looking for some like-minded company, which was hard to find. After some investigating, it was obvious that many parents felt the same. The concept was validated and I was ready to take it on. We are rolling out new functionality sought after by users, improving the user experience through intuitive design and getting some mobile apps under way. Working hard, day in/day out. Delaying gratification without getting demoralised. I’m a planner. I write down my goals for each day, week, month and year end – and list what needs to be done, by whom and by when and I track my performance against these targets. Finding trustworthy people to brainstorm ideas with (outside of the founding team) has also been important as you can get very myopic in your vision. My dad has been amazing support and I speak to him almost daily for feedback. My typical day is hectic. I am up at 5.30am and will start off reading the news, attending to emails and prioritising my daily objectives. Once the kids are up, from 7-9am it’s the rush hour. I will get them ready for childcare and school followed by a 1 hour round trip shuttling them to their respective venues. By 9am I am home and ready to dedicate the next 5 hours to Playdate – specifically product development, social media, marketing & PR and everything else that needs doing. At 2.30pm I am back on the school run. 3.30pm – 6pm – It’s time for dinner prep, bath and homework. 6pm – if my husband is home I will hit the gym for a 1 hour kickboxing or weights session. 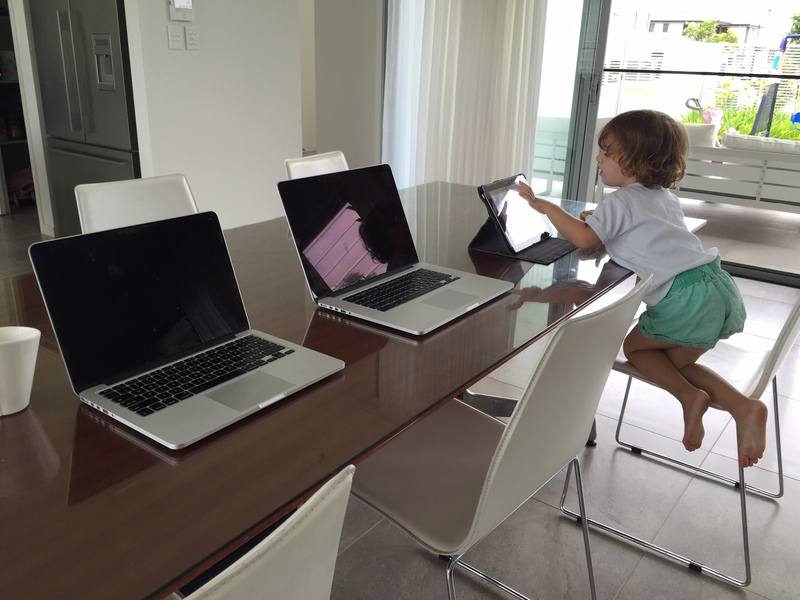 8pm – Back to work on Playdate until late. There have been plenty of challenges. Entering the tech space with a business background and the need to outsource development has been one. A critical factor in your start-up’s success is getting the care factor as close to 100% by everyone involved. I am the first to admit I can get a little agro when things aren’t up to scratch, however I am responsible for ensuring the funds we are investing are generating the best possible results – all feelings aside. Dealing with mounting costs are another challenge. Our intention was always to bootstrap Playdate all the way to the finish line – because who really wants funding if you don’t need it? The fact of the matter is everything in Australia costs exponentially more than the rest of the world, so whilst funding may not necessarily be desired, you start to look at it in a new light after some reflective number crunching. I’ve got lot of ideas. But I may decide to take them on at some stage, so I will give you my worst one. Drive-through sushi. Not in my industry, but Canva. It has made my life exponentially easier as a founder from a non-design background. I’m a big fan of Tesla Motors. We are always on the look out for quality people – tech, marketing and investors. We are currently seeking mobile app developers. If you are one, or know of any, please get in touch. There is an obsession in the start-up world with user feedback (which is important of course) however if you expect users to drive the evolution of your product, are you really innovating? Favourite restaurant is La Fontaine – Hayman Island.